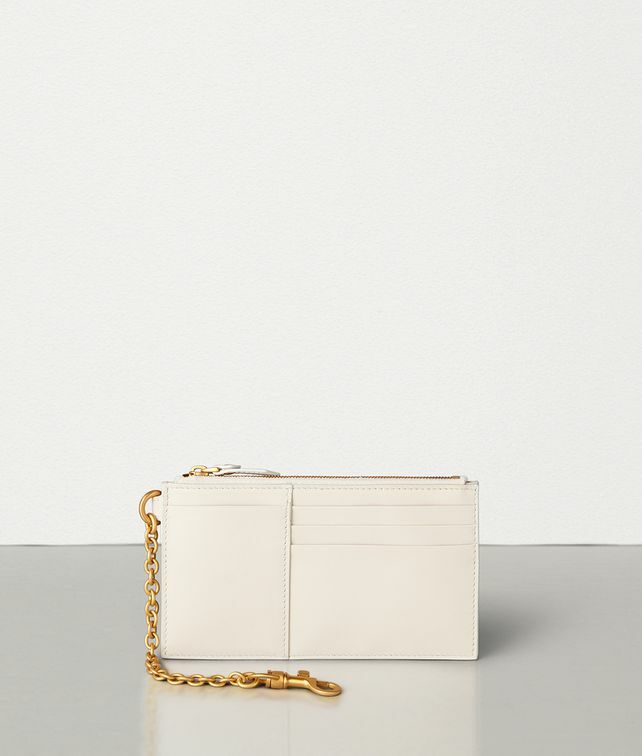 This card case is crafted in smooth nappa with a chain that attaches it to larger bags such as the Maxi Cabat and the Pouch. Simple and functional yet beautifully made, it reflects Bottega Veneta’s deep connection to Italian craftsmanship with a contemporary attitude. Width: 16 cm | 6.2"
Depth: 1 cm | 0.3"